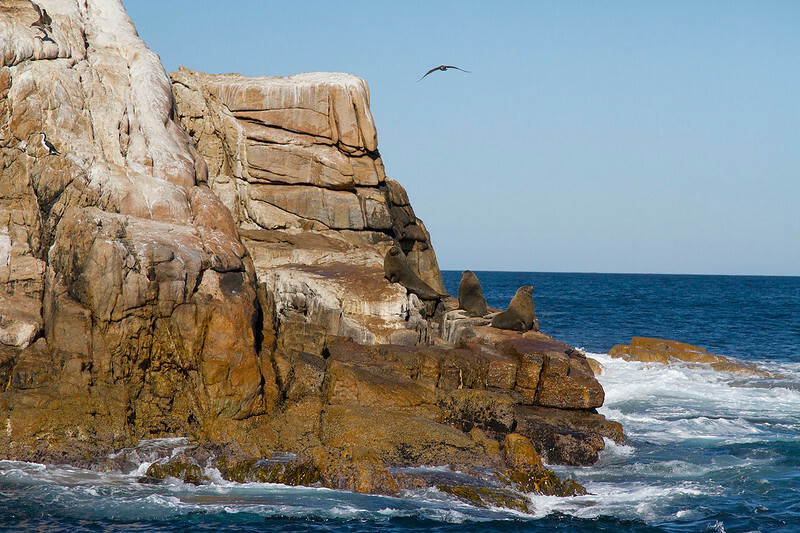 People travel to Tasmania for many different reasons. The scenery. The food. The wildlife. The isolation. And despite the size of the state (bigger than many countries, but small compared to other parts of Oz) there’s an awful lot to see and do (and eat – their food scene is off the hook!). 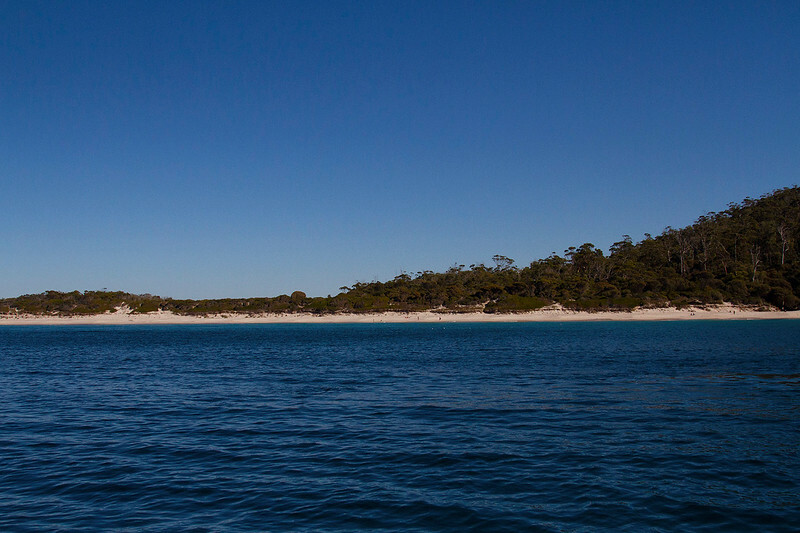 If you do want to experience something truly beautiful during your time there, you should put “Ogle Wineglass Bay” somewhere on your itinerary. 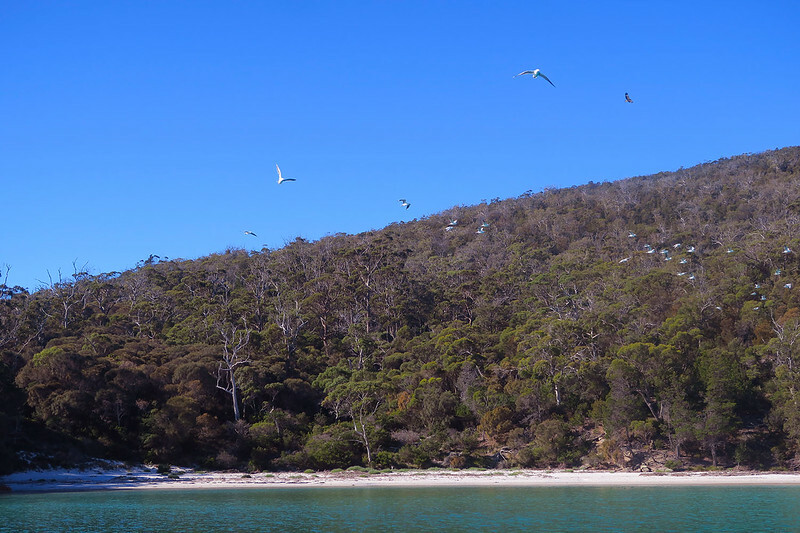 Located on the east coast of Tasmania, around 2.5 hours from Hobart (the time is dependent on whether you get stuck behind people who are determined to go 30km under the speed limit), Wineglass Bay is consistently voted as one of the best beaches in Australia. In a country that has a coastline that boasts some 10,000 beaches, this is high praise indeed. It’s much more fun to see things from the water. 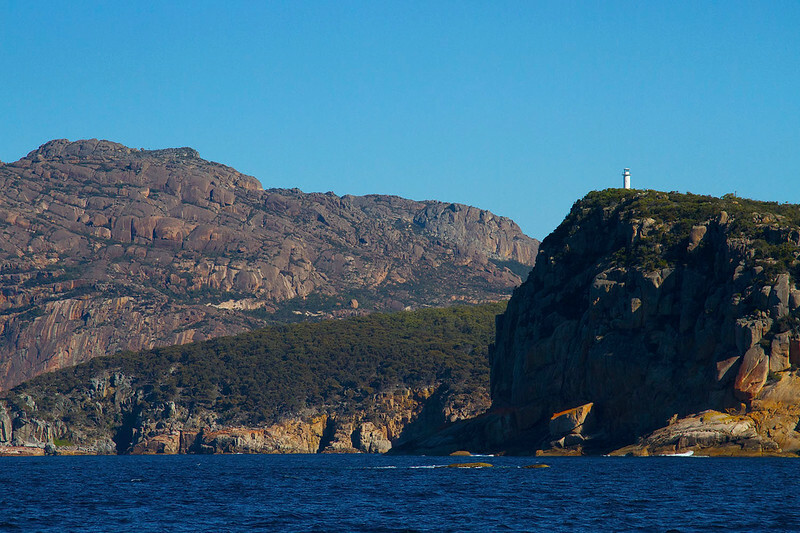 There are two ways you can experience the splendour of Wineglass Bay for yourself. 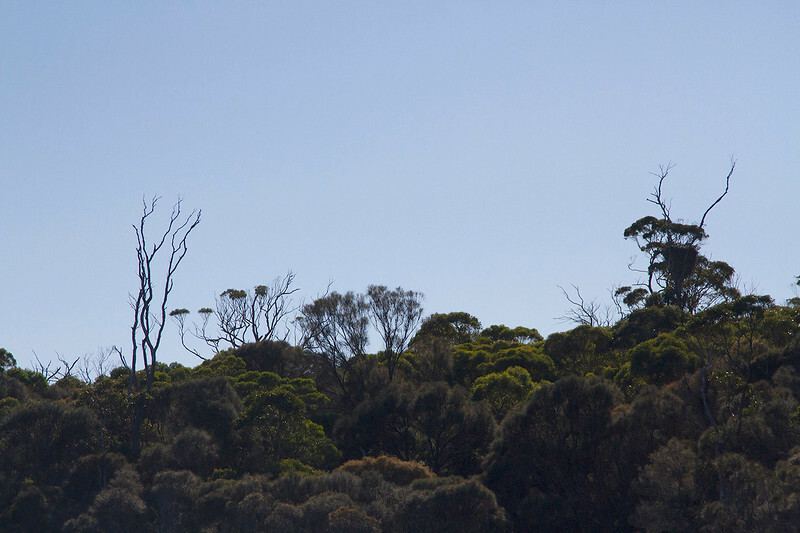 You can pay the $24 entry fee to Freycinet National Park and do a hike that leads you to the lookout, for an aerial view of the beach. The shoreline is accessible through the park and if you’re made of strong stuff, you can perhaps even brave the freezing cold ocean! 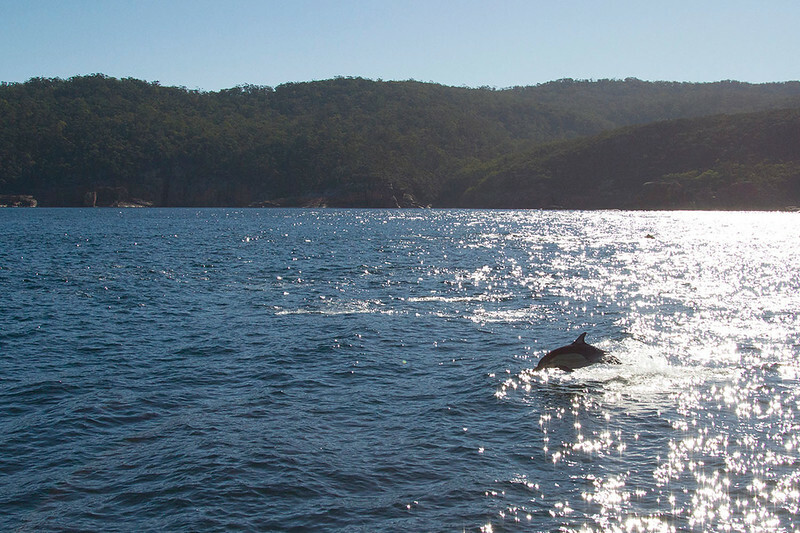 Dolphins hollering at us on the return trip. However, not everyone is capable of doing the 2.5 to four hour walk that allows you to circle through the park. Luckily, the bay looks just as lovely – if not better – from the water. 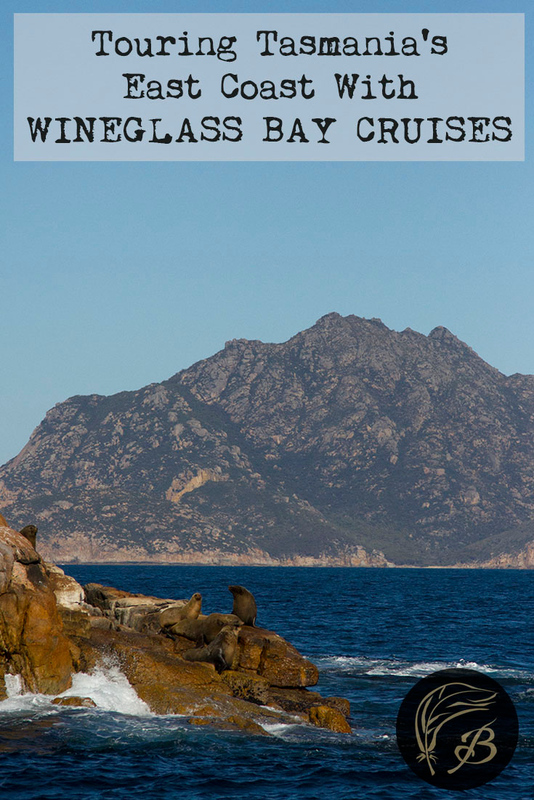 So, you can take what is in my opinion the more exciting route by jumping on the Schouten Passage II, the vessel of choice for Wineglass Bay Cruises. 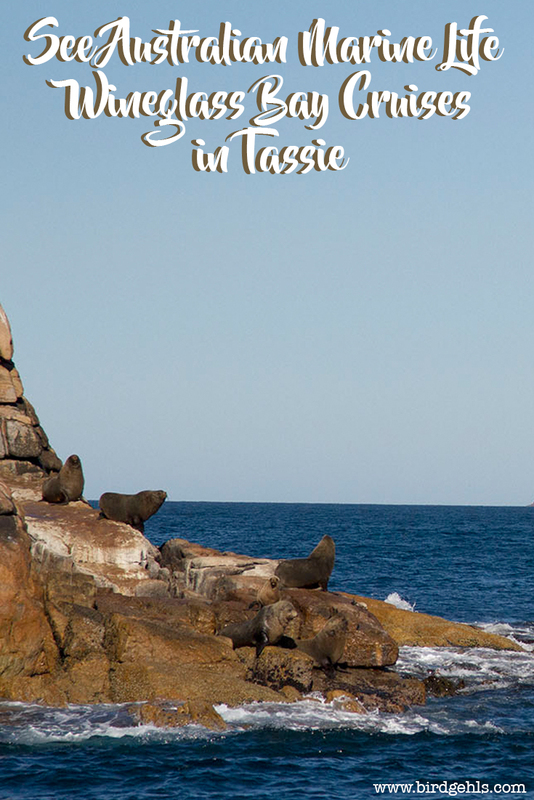 From there, you’ll snake your way around Tasmania’s east coast, before enjoying a lovely lunch (of delicious local produce, none the less) in the bay itself. Personally, if there’s a boat – I’m on it. Particularly if there’s food involved. 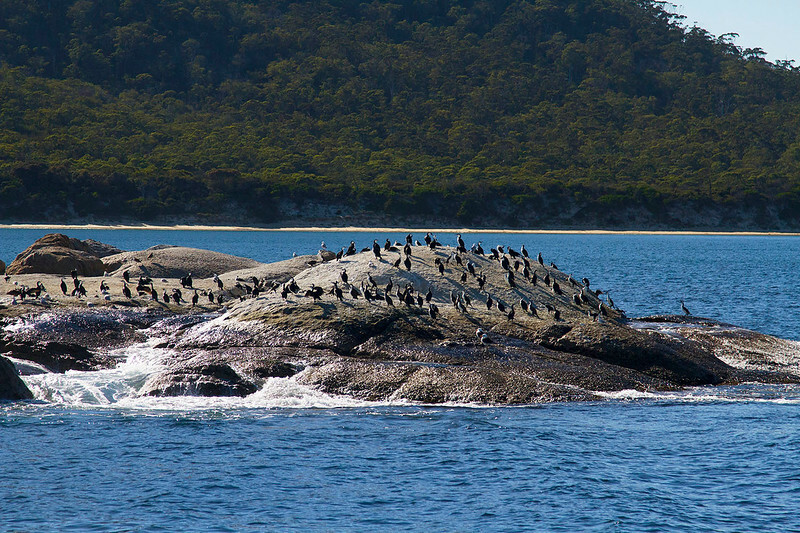 The Schouten Passage II (named after Schouten Island in Freycinet Park). Despite the brilliance of the weather, I did opt to take two of the ginger sea sickness tablets that are offered at the front counter. I’ve never been sea sick in my life (although don’t get me started on London buses or Melbourne trams), but I wasn’t going to take any chances and you shouldn’t either. The nest is to the far right. Those shags are damn wet! Albatross flew overhead, making it a picture perfect moment. 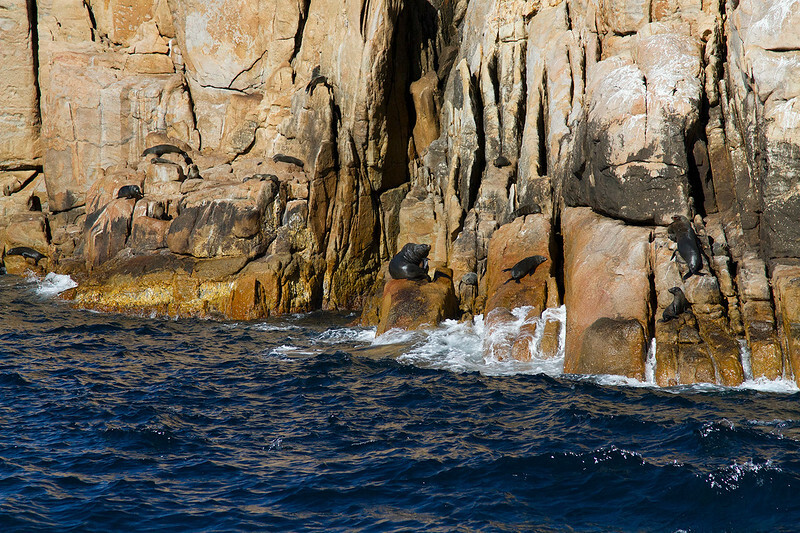 I love the way that younger seal is flopped out on the rocks as if he had a REALLY tough day today. It’s not everyday you get your photo snapped with one of the most beautiful beaches in Australia as your backdrop. Look at the colour of the ocean! Yet, this was not always the case. Many believe the bay’s name derives from its shape, which does indeed resemble that of a wine glass. As it transpired (and this was new information to me) the name is a throwback to Australia’s whaling days, when that particular beach was a whaling station. The blood of the slaughtered animals would turn the water a startling shade of crimson – precisely the same colour as a glass of red wine. Even now, bones of these whales get washed up onto this beautiful beach during storms and the skipper pointed out the remnants of a ribcage that had been thrust into the sand. A reminder of what was lost and what we must work hard to preserve. 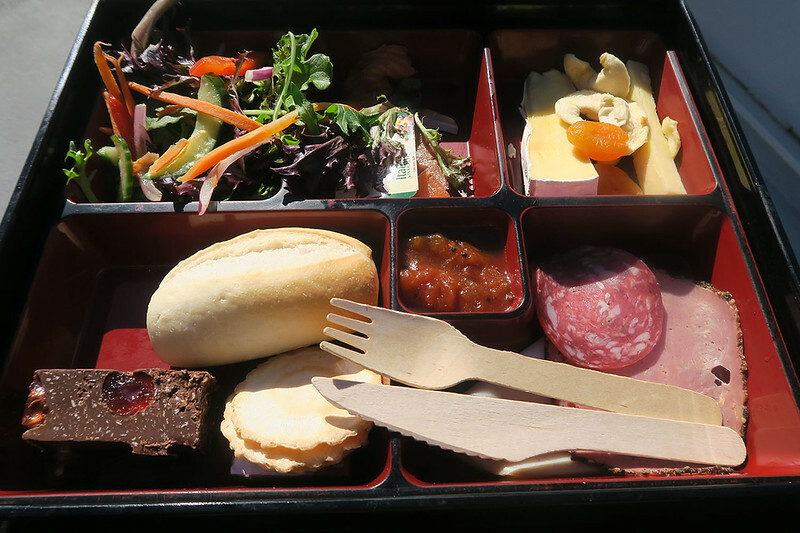 Lunch is served, bento box style. After lunch was served, I grabbed a glass of wine and lounged around in the sun, engaging in conversation with some of the other passengers before the boat about turned and started to head home. 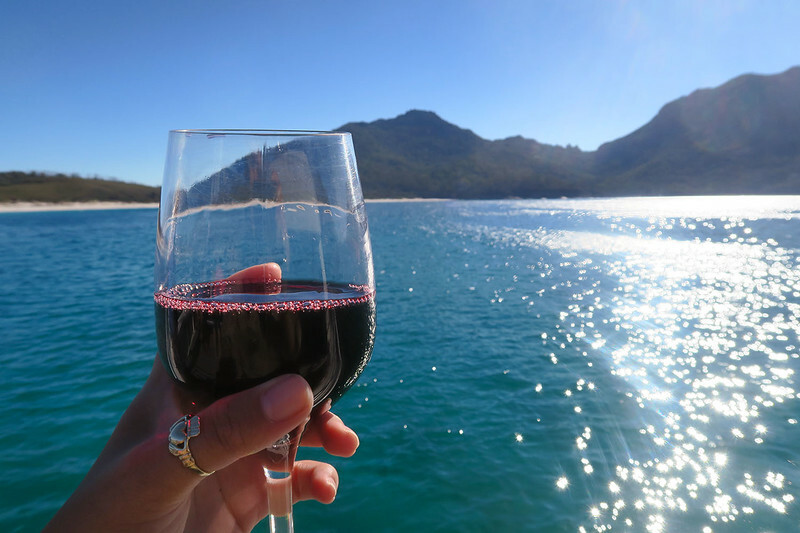 A glass of wine in Wineglass Bay. Makes sense, no? The journey back to the jetty was a lot of fun. 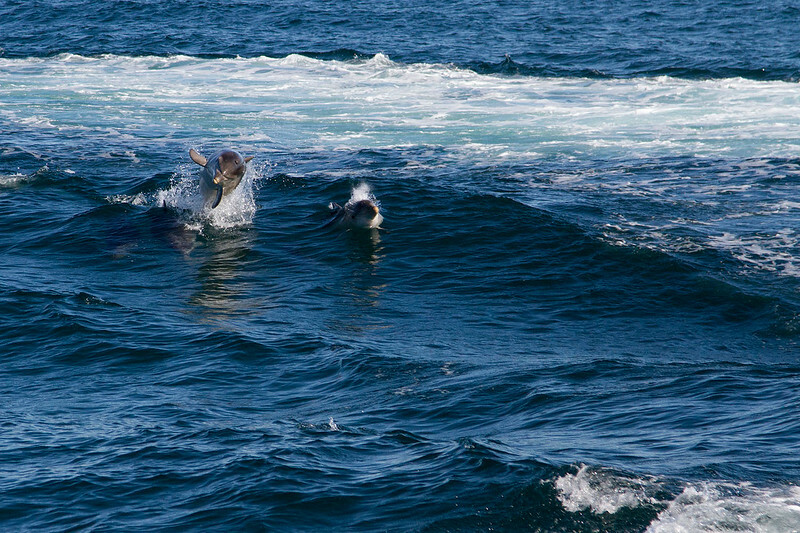 We cruised across the sea, occasionally having a pod of dolphins race over to greet us. 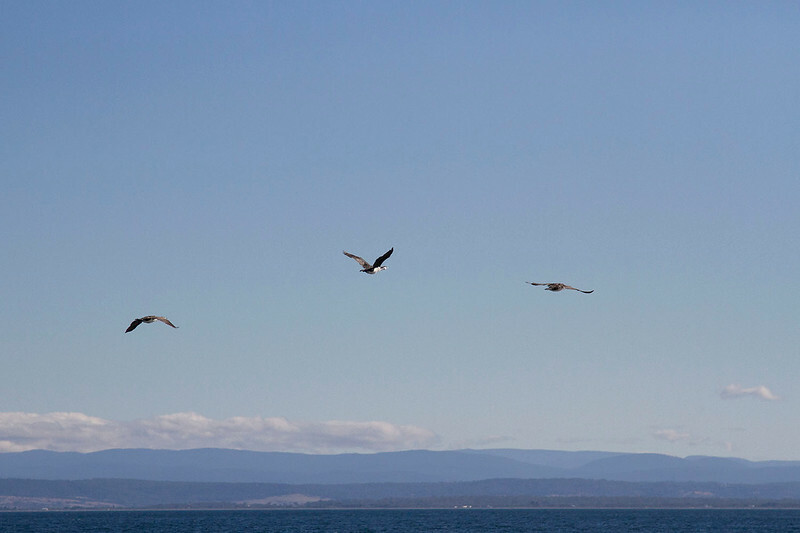 As we were entering whale migratory season, the crew took us a little further out, in the hope of spotting one of the magnificent marine beasts. No luck this time. Orca had allegedly been spotted in the area recently, but there were no sightings of them for us either. It was a shame, but we had been pretty spoilt with the marine life as it was. I didn’t feel hard done by at all. 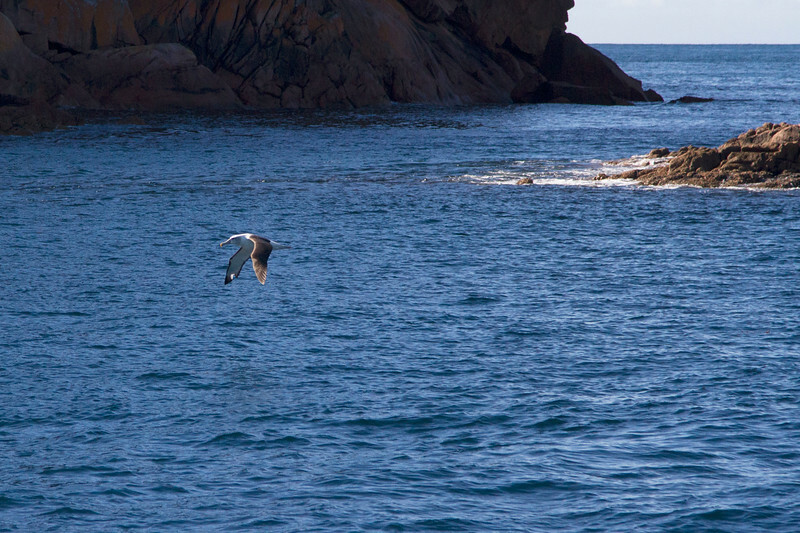 Albatross in flight – a species threatened by long-line fishing. 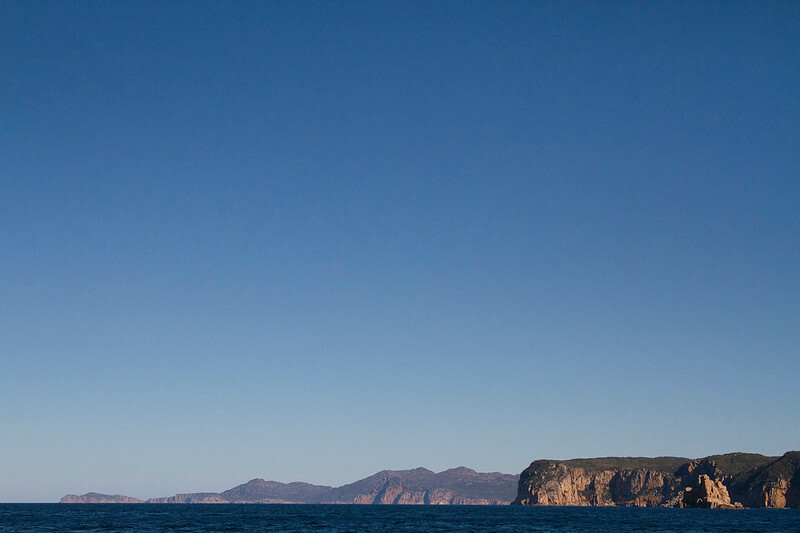 We arrived back at Coles Bay a little after two – we’d stayed out longer than scheduled, as the crew had been so intent on making our time on the water as enjoyable as possible. All in all, it was a fabulous day and a wonderful introduction to the area. I would have liked to have driven on into Freycinet National Park to go see the bay on foot, but time was working against me. There’s always next time… and where Tasmania is concerned, there always will be a next time. 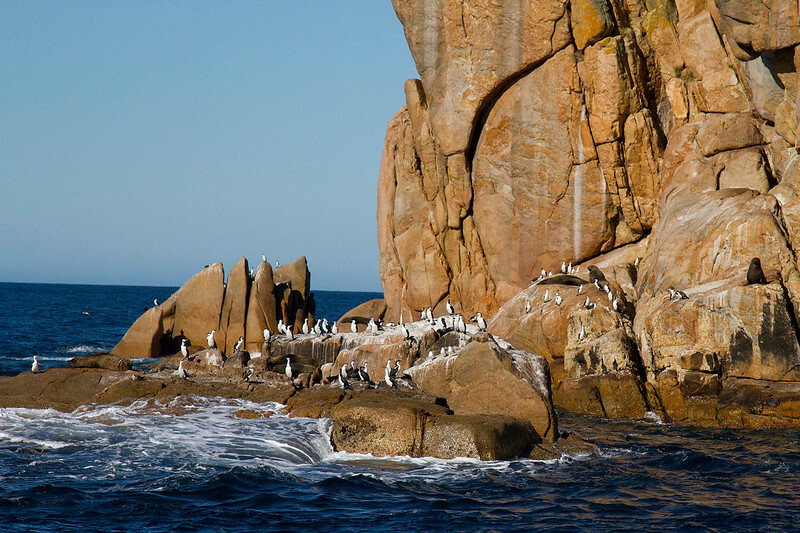 If you yourself are heading to Tassie this winter, don’t be deterred by the cold weather. 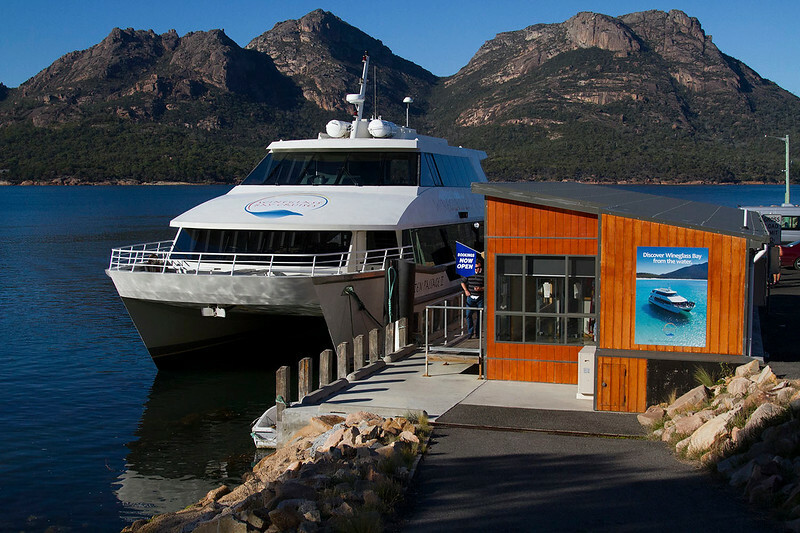 Wineglass Bay Cruises are running a winter schedule for the first time ever. 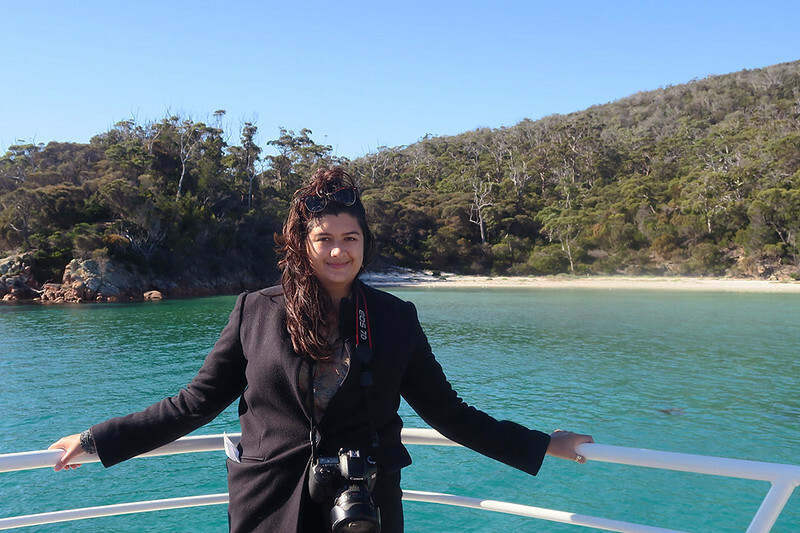 Have you been to Wineglass Bay? 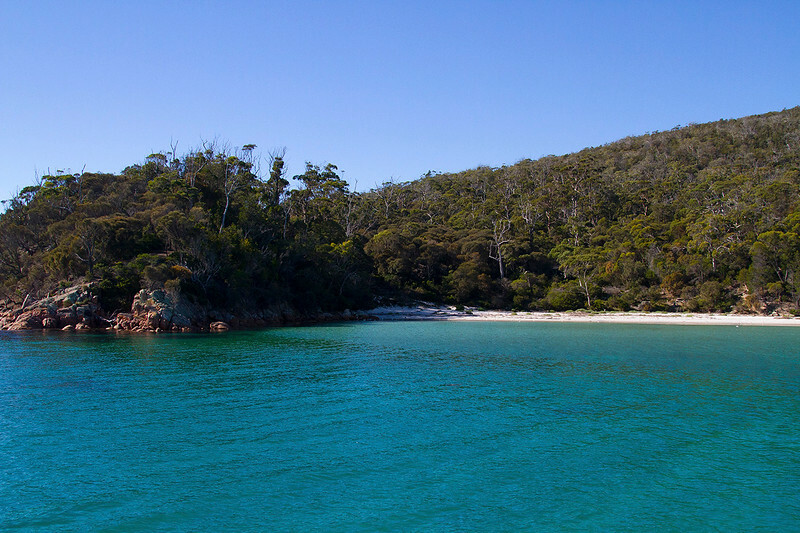 Do you reckon it deserves the title of being one of Australia’s top beaches? 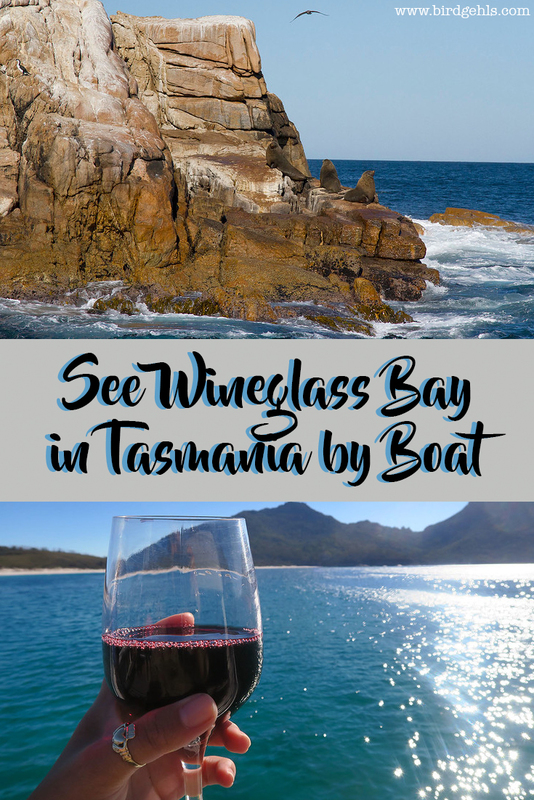 Need know information: I was hosted by Wineglass Bay Cruises whilst in Tasmania, but all opinions expressed in this post are my own. I felt so lucky with the weather! It only rained once the entire weekend. I remember it being quite good the last time I was there, years ago… it’s so hit and miss in the shoulder seasons, isn’t it? Yes, totally. Like Melbourne. 😀 Glad you got to enjoy Tassie with glorious weather though! Thank you! It is a stunner.